We live in a golden age of travel. These days most of the Earth is accessible and, it turns out, often comes with a very good chef. It's possible to visit the ends of the Earth and still get a great meal. You may eat your best meals seated on a low, plastic stool, because the company with you sparkled and the chef was a genius. A Michigan beach town may have one street and a bar that serves hot dogs, but it's the Four Seasons when the sun sets just right. That's all true, but it's no reason to avoid luxury when you can get it. And sometimes you can get it in the oddest places. Take, for example, these ten destinations that are about as far from anything as you can get but still offer a five-star experience. The Incan citadel of Machu Picchu remains wonderfully hard to get to. In an age when most of the Earth is just an in-flight movie away, these ruins perch on a mountaintop well outside the nearest city of any size. 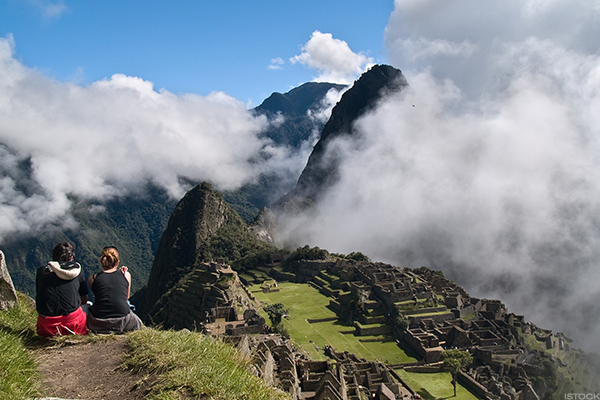 To get there, you first fly into Cusco and hope to avoid altitude sickness. Then you take a bus or car for hours to reach the small village of Ollantaytambo, where you take a train to the town of Aguas Calientes at the foot of Machu Picchu. Then you can take a bus or, better still, a trail up to the ruins themselves. The mountaintop is remote. It looks down on the clouds and the valley far below, and for a moment, it's easy to understand how the Incans thought this would provide a refuge from the Spanish forces that had swept in from their landing at Lima. Next to it all is the Belmond Sanctuary Lodge, a luxury hotel with deluxe rooms overlooking the ruins themselves. Because after a day of feeling like Indiana Jones, the only option is, of course, a spa treatment. Siberia may well be the most remote area in the world. Larger than most countries, with staggering amounts of unexplored resources and terrain, the permafrost of this tundra is as essential to Russian identity as the plains are to America's. For anyone who wants to experience that firsthand, without risking the inconvenience of frostbite and death, there is the Trans-Siberian Railroad. Running the length of Russia for over 100 years this is the world's longest railroad. 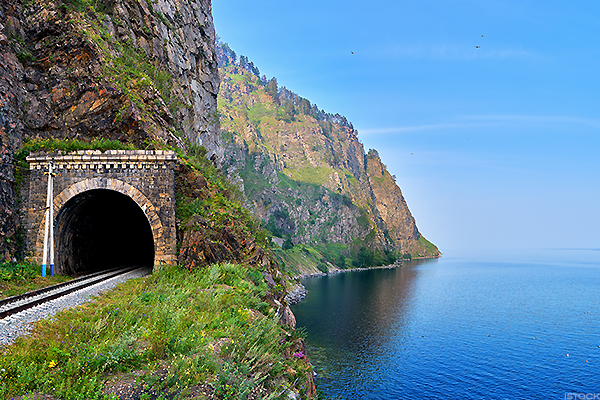 In fact it merges seamlessly with the Eurail system, allowing passengers to travel from London to Vladivostok in a single trip. For those who want to elevate their experience, the railroad offers luxury packages, "to truly travel in the style of the red tsars." Complete with private bathrooms and elite dining cars, you can see the world's most forbidding countryside while sipping a top-shelf martini. "The Himalayas have some amazing five-star hotels," recommended Lia Batkin, co-founder of the Virtuoso travel agency In the Know Experiences. If anything, she's putting it modestly. As travelers have grown more sophisticated, many parts of the world have begun opening up to casual and amateur adventurers. This includes places like Mount Everest and the Himalayan Mountains, which today draw an increasing number of people who want to breathe the air on the rooftop of the world. Up here, there isn't a single recommendation someone can make. Mountaintop resorts have begun springing up all over. The real challenge isn't finding a view. It's picking one. "[Australia] is the home of the largest living thing on earth, the Great Barrier Reef, and of the largest monolith, Ayers Rock (or Uluru to use its now-official, more respectful Aboriginal name). It has more things that will kill you than anywhere else. Of the world's ten most poisonous snakes, all are Australian. Five of its creatures - the funnel web spider, box jellyfish, blue-ringed octopus, paralysis tick, and stonefish - are the most lethal of their type in the world. This is a country where even the fluffiest of caterpillars can lay you out with a toxic nip, where seashells will not just sting you but actually sometimes go for you. ... If you are not stung or pronged to death in some unexpected manner, you may be fatally chomped by sharks or crocodiles, or carried helplessly out to sea by irresistible currents, or left to stagger to an unhappy death in the baking outback." 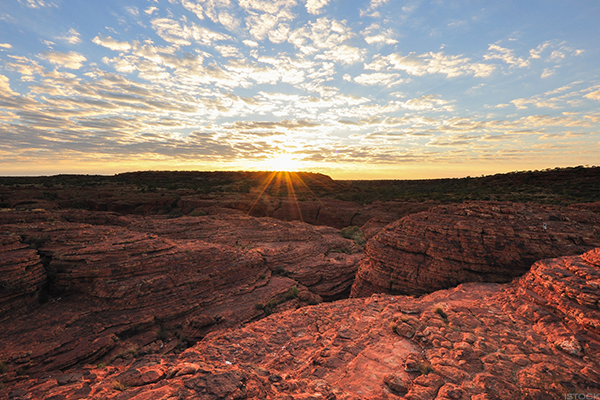 The Outback is the toughest landscape that this tough place has to offer. In it is Uluru, one of the most remote destinations that tough place has to offer. And at Uluru you will find Longitude 131, a five-star campground that describes itself as "a transcendent experience of discovery." Americans can hail from some surprising places. For example, the residents of a few South Pacific islands carry the same blue passports as the rest of us. 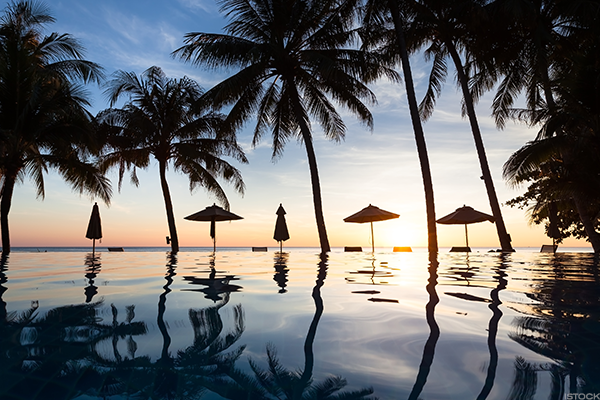 It is for this reason that you can fly to one of the most remote islands in the entire Pacific Ocean, American Samoa, and leave your passport at home. Upon arrival you won't need to sweat it out in a concrete room either. 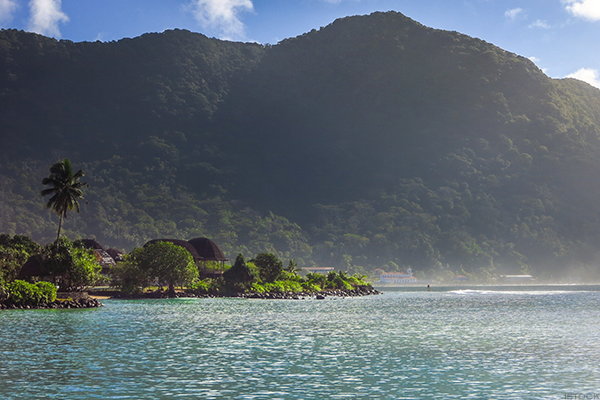 American Samoa has become a very popular place to build island resorts. So much so that, like the Himalayas, it's impossible to pinpoint just one destination here. Instead there are entire websites dedicated to helping you select your water's-edge accommodations on an island that the U.S. owns specifically, because it's so far from anywhere. "People are lately looking for more off-the-beaten-path, luxurious places," said Batkin. "[Such as] Iceland, Antarctica, heli-skiing (anywhere), Patagonia, and trekking in Bhutan." To that list, she suggested, add the arctic resorts of Scandinavia. Batkin cited in particular the hotel Kakslauttanen, and it's easy to understand why. 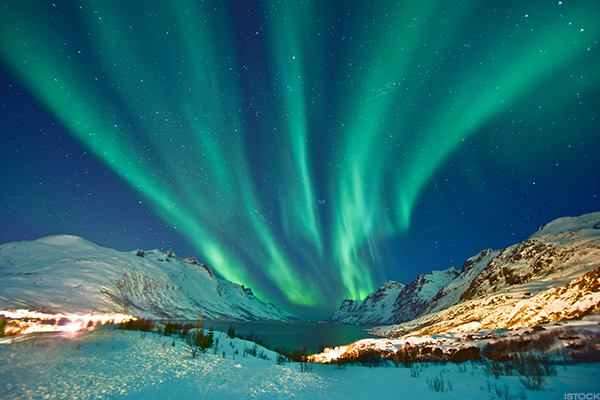 From there travelers can watch the northern lights in a setting that, for all intents and purposes, looks like it stepped out of a fairytale. Over 100 miles north of the Arctic Circle, this hotel is so far north that it's recently opened its own tours of Santa's home. But that doesn't mean the staff has skimped on the service. "In this day and age you can find many amazing hotels and glamping experiences that serve the most incredible food, provide top-of-the-line spa treatments and plush accommodations, plus amazing extras," said Batkin. "A lot of the time the real luxury, though, is being in an amazing, remote destination, having peace and quiet, and experiencing something truly different and beautiful." Take, for example, the luxury yurts of Mongolia. Most people associate yurts with the nomadic tribes of the Mongolian steppes, a culture that moved with their herds and so developed complex lifestyles and architecture around that. However, a few people see the yurt as something more. It's a chance to build new forms of hospitality around old ways of life. 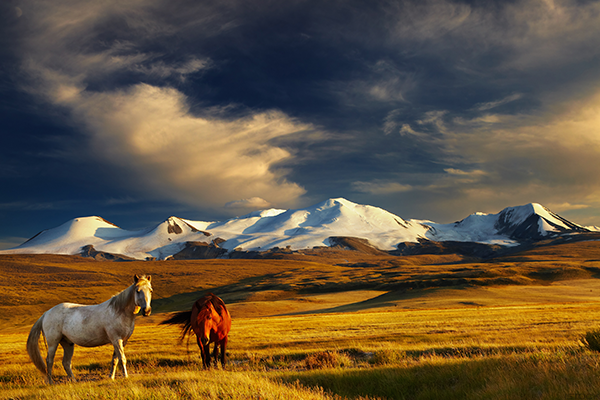 The steppes of Mongolia may be far away, but modern travel hasn't passed them by. 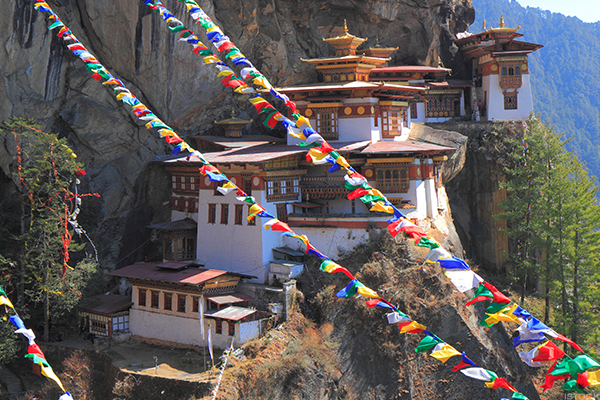 Bhutan is a land of mountaintop monasteries and ancient fortresses. 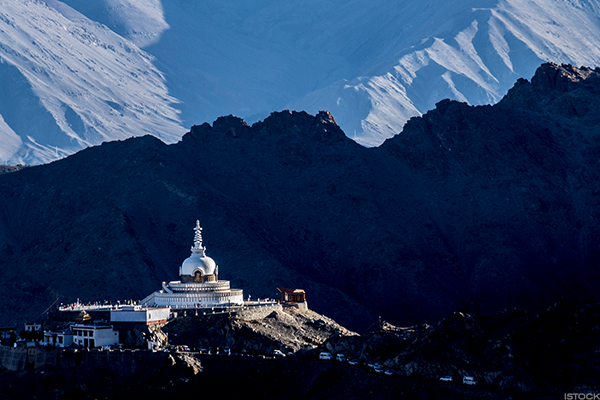 With the Himalayas cutting through much of the nation, this is a country built around harsh terrain. It also works to limit the number of travelers who come in, not wanting too many tourists to ruin the local culture. With the tariffs for being in-country set around $250 per day, you're already splashing out just to visit Bhutan. So why not spend a little more and treat yourself? Like, for example, the luxury treks that run through the mountains. These tours are the hiker's equivalent of a five-star spa package, and have taken exclusivity on the road to some of the world's harshest environments. If mountains aren't your thing, perhaps you'd rather face endless sand. In the desert of Dubai are luxury resorts like the Al Maha, which offers suites and dining that look out over the Arabian Peninsula's desert. To be fair, if any place in the world would build a resort in the desert, it would be Dubai. 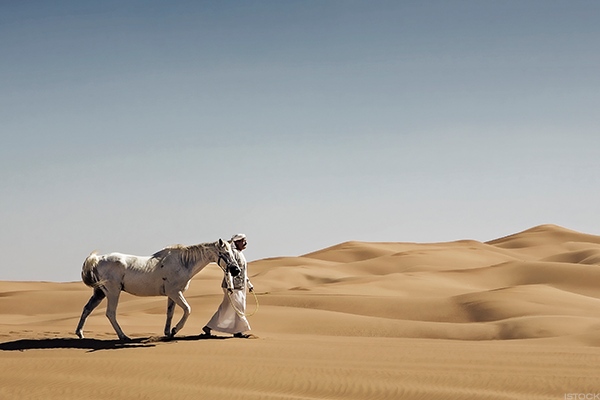 However neither Dubai nor even the Sahara can claim the title of largest desert on Earth. No, that honor belongs to the seventh continent: Antarctica. Well, now you can see it without missing happy hour. 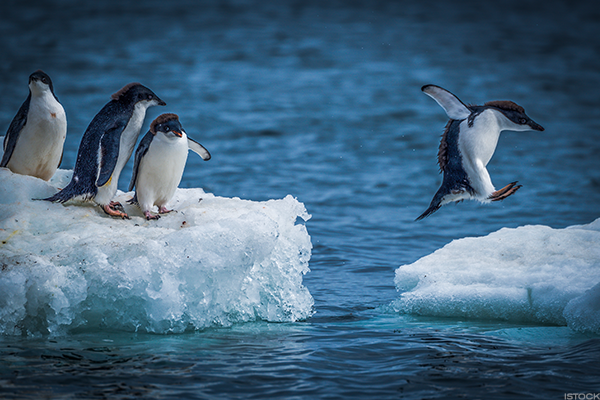 Luxury cruises to and around Antarctica take visitors down to the waters around the South Pole. Then there is White Desert, a luxury adventure company that promises "a new kind of camp… one that [is] comfortable and heated, more akin to the old-world luxury of the early Victorian explorers - with brass fittings, leather chairs and picnic hampers." Now, perhaps the explorers who once brought dining sets and gongs into the wilderness aren't the best role models. Nevertheless, White Desert has taken off and promises a comfortable way of seeing what is literally the most remote place on Earth.